Our mission is to assist organizations in the application of technology to support human performance. We provide strategic technical consulting services and innovative custom software application design and development services that enhance individual and team productivity and result in measurable improvement in the business results of our clients. To achieve this goal, we blend the eclectic talents and viewpoints of management consultants, software designers and developers, and instructional technologists. InfoMedia Designs has been a pioneer in technology-enabled learning and performance support since 1995. Our clients include large and mid-sized businesses, federal and state government agencies, academic institutions, and non-profit organizations. Steve Foreman is founder and principal of InfoMedia Designs. Prior to forming InfoMedia Designs, Steve worked for twelve years as an independent learning technologies consultant to Fortune 500 companies. 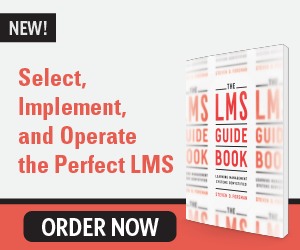 He is the author of The LMS Guidebook along with many articles, white papers, book chapters, and industry research reports. Steve is a frequent presenter at eLearning industry conferences and workshops. 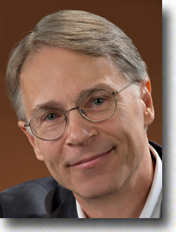 Some of Steve’s key interests include learning and performance strategy, learning technology architecture, socially adaptive systems, self-organizing knowledge bases, performance-centered user interface design, computer adaptive testing, inference-based decision support, and the convergence of working and learning. © 1995 - 2018 InfoMedia Designs, Inc.